A Festive Afternoon Tea at Mitton Hall. There was a time when going out for Afternoon Tea was quite the norm for me. I think one year, I managed to devour ten. I know! But in 2018 I had not participated in this delightful institution until Sunday, when I joined some work colleagues for a Festive themed afternoon tea at Mitton Hall. Mitton Hall near Whalley in Lancashire is a charming country house hotel. It’s the kind of olde worlde pile where a medieval banquet would not look out of place in its traditional oak panelled Great Hall. At this time of year a mahusive Christmas Tree welcomes you on arrival. 🙂 We immediately felt full of festive cheer. Our Afternoon tea was booked for 5pm, so it was already dark when we arrived. After a quick refreshment in one of the cosy bars, we were lead to our table in the Brasserie. It wasn’t long before our Afternoon Teas arrived, served on three tiers and piled high with goodies. We had all chosen the standard option which includes any hot drink of your choice and cost £17-50 each. The bottom tier contained festive finger sandwiches, smoked salmon canopes and pigs in blankets. I always think it’s a shame that afternoon tea is more geared up for the sweet tooth. We would have loved a few more savoury items to feast upon. However the cakes were to die for. And I am definitely a fan of cake! My personal favourite was the Lemon Drizzle..
Other sweet treats included a mince pie, a chocolate mousse ( unusually flavoured with mango, a hit with me but not for everyone) , a mini macaroon, a stollen bite and of course, plain and fruit scones, served with jam and clotted cream. Will you be indulging in a Christmassy afternoon tea this year? Photo an Hour Sat 24 September. 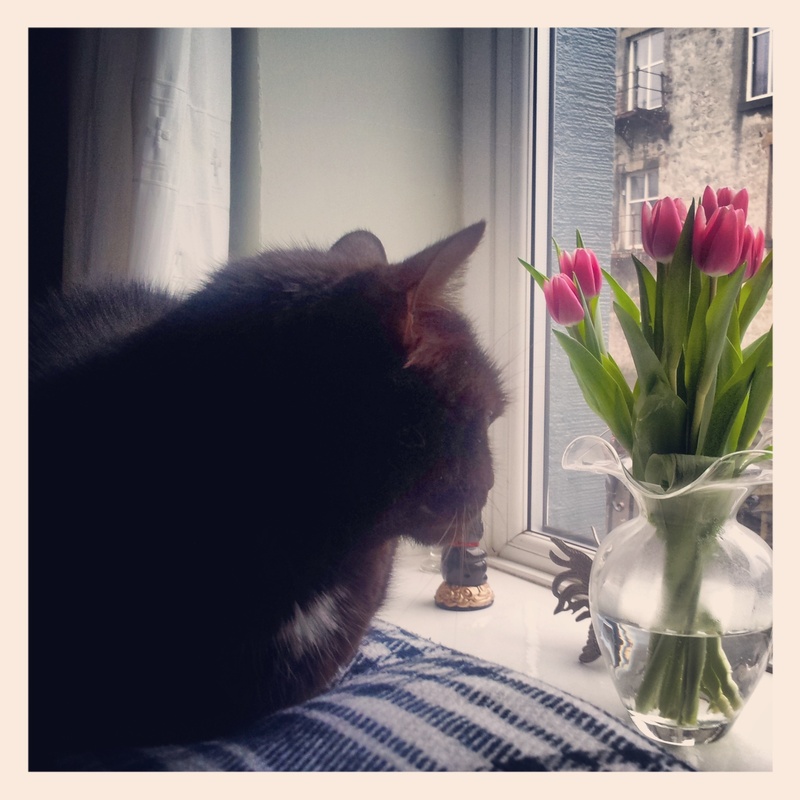 On Saturday I joined in with Janey and Louisa’s Photo An Hour challenge on Instagram. 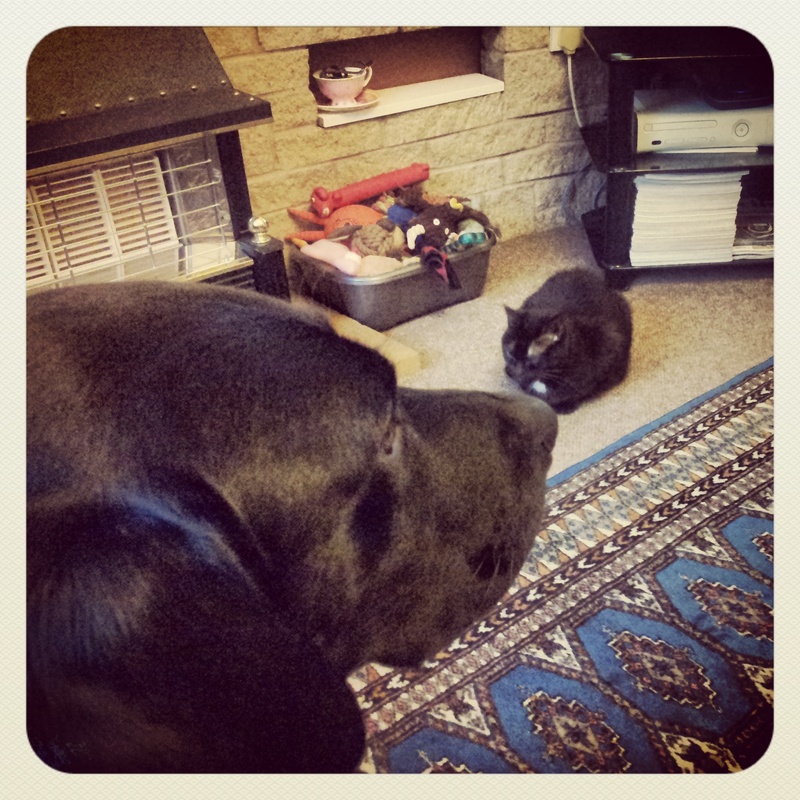 For me it was a different kind of day as Wil was away falling off a bike mountain biking in deepest darkest Wales….so it was just me and the pets for most of the day. 9am. Out in the park with Hugo and his doggie friend Mollie The Collie. 10am. I take Hugo for a coffee ( he got a couple of treats ! ) 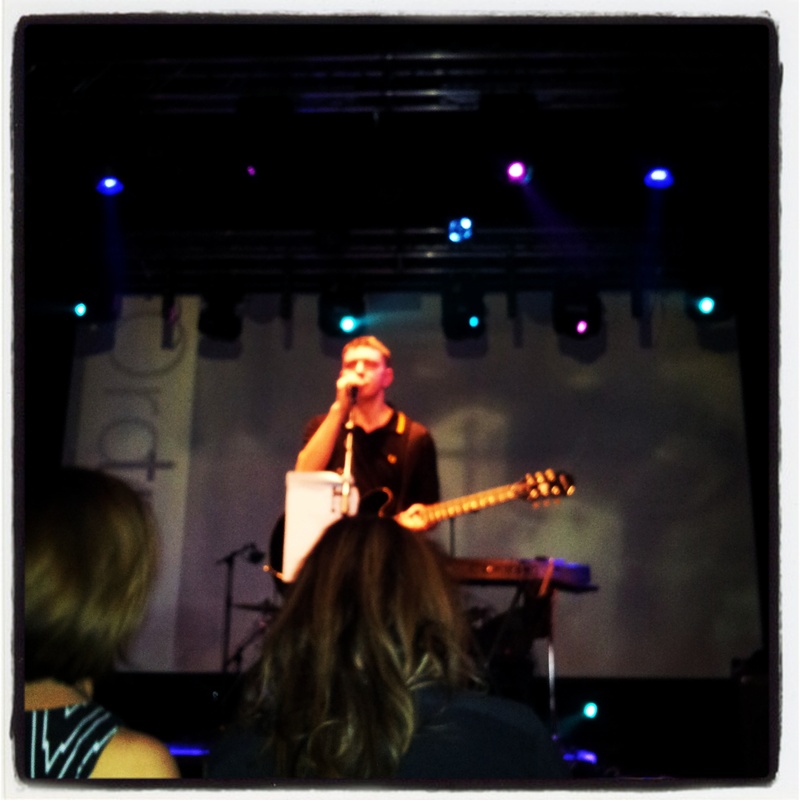 at Escape in town. They are currently selling the most yummy Finch Bakery cupcakes, so well, I couldn’t resist! 11am. On the way back home Hugo poses with some scooters. Saturday was actually The Ribble Valley Mod Weekender so Clitheroe was packed with Vespas and Lambrettas. 1pm. Quick pasta lunch before catching the train to nearby Whalley to meet my sister and nephew. 3pm. And no trip to Whalley is complete without refreshments in Benedicts. We loved this cafe with it’s smart decor and a-joining deli and gift shop. Pet friendly too! 4pm. Oooops no photo. The truth is when I got home I bobbed over to Bowland Beer Hall, bought myself half a cider and promptly got the worst heartburn ever!!! Luckily a glass of milk proved an amazing cure….but the experience put me off going out again that night. 5pm. Instead stayed in and watched The Addams Family. Class! 6pm. And put photos in my album. So rock n roll!! 8pm. Writing up my Sunday Sevens 25th September blog post. 9pm. New ankle boots that I purchased from Beryls in Clitheroe this morning. Weirdly I think these are my first pair of ankle boots since the nineties! 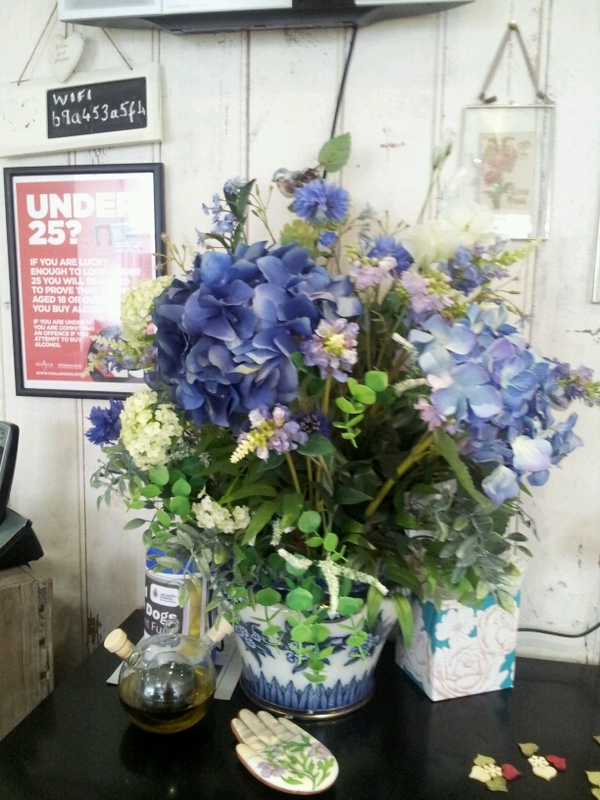 Like the colour. Cheers for reading. Maybe you can join in on Instagram next time. Look for the #photoanhour tag. I have updated my Dog Friendly Clitheroe Post as there are a few new businesses in town that welcome dogs, since I first wrote it. 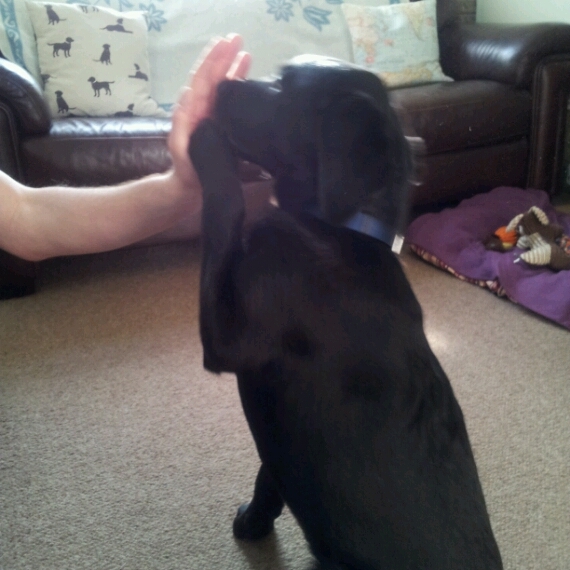 Hugo has been busy visiting a few! 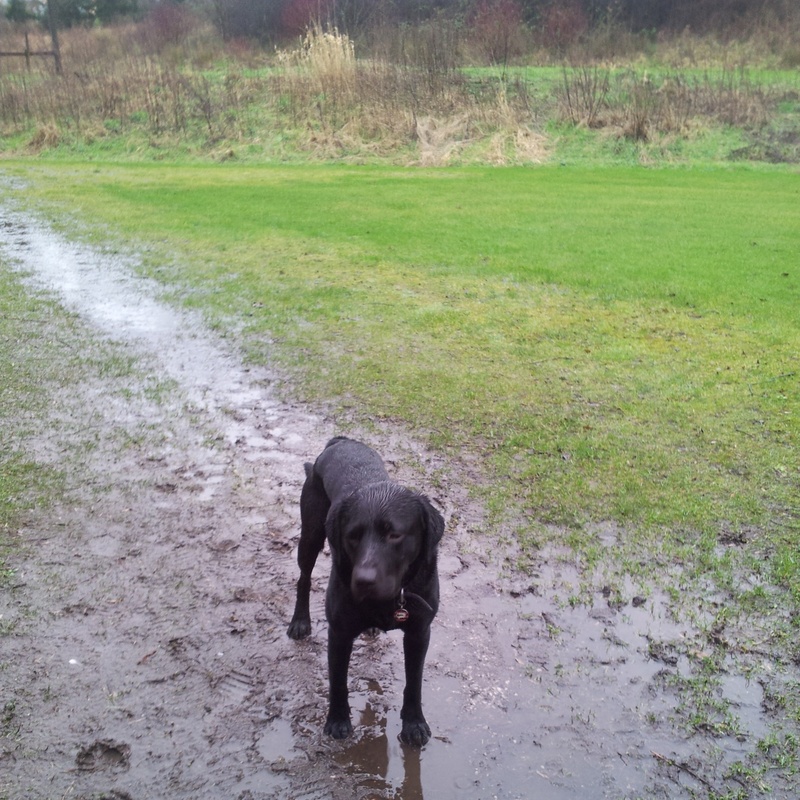 It’s raining cats and dogs and your out and about in Clitheroe with your four legged friend.Its not beer garden weather, so where can you and Rover ( or Hugo in my case!) shelter from the rain, sit down with a coffee, relax with a pint, or indeed indulge in a little reTail therapy? 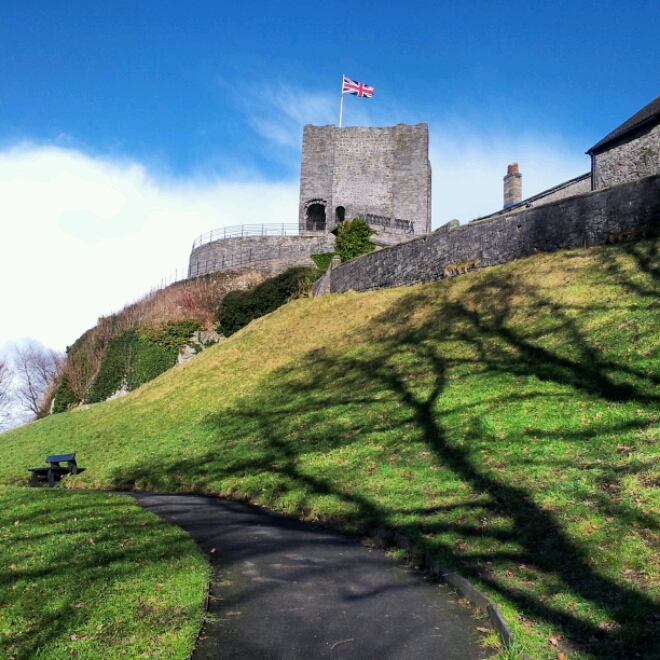 Check out these places with your pooch…..after a run in the castle grounds of course! Green Jersey. ~ Bicycle shop. Old Shawbridge Sawmill. Mondo. ~ Quirky gadgets and gifts. 10 Castlegate. Cowgills ~ Newsagents & toys. 4-6 Market Place. Time Train ~ Vintage and collectables. 2-2a Shawbridge Street. FatFace.~ Clothing. The Victoria,Market Place. Bodycare~ Health and beauty. Castle Street. Always a treat to visit Urban Sheep! 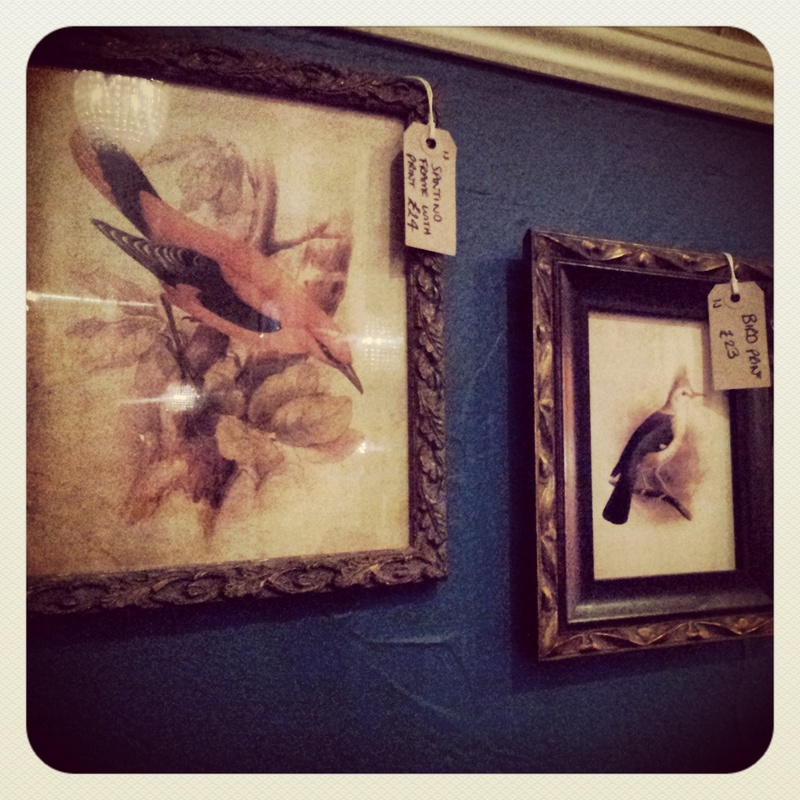 Igloo ~ Gifts and Homewares. Castle Street. Urban Sheep ~ Lovely fashion accessories, jewellery and gifts.Moor Lane. General Post Office. King Street. So before I got on with the challenge I set myself of giving up Facebook,Instagram and Pinterest for a month( 24 hours now and counting! 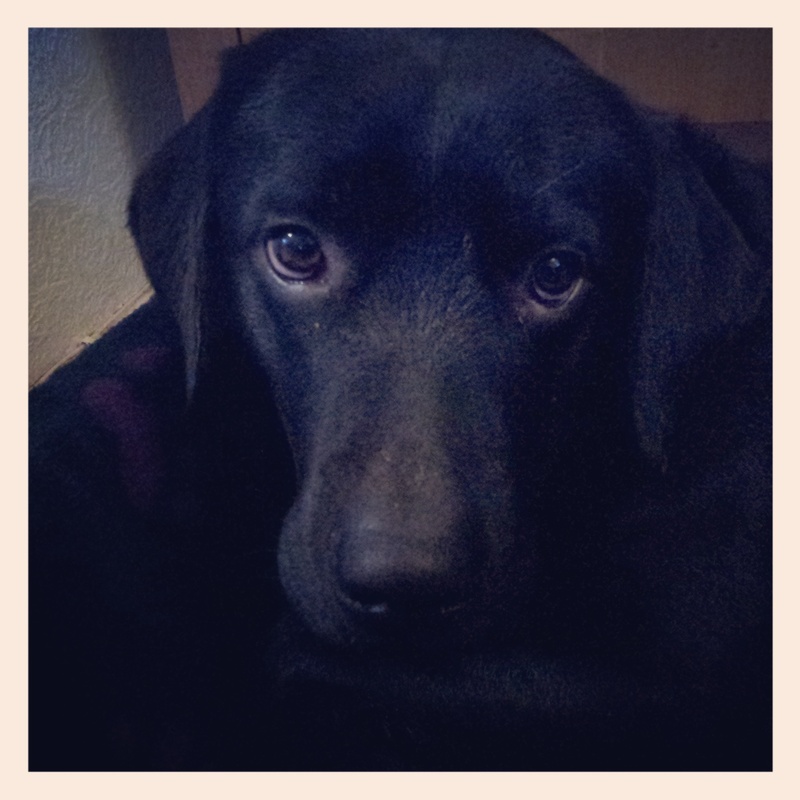 ), I just had to join in with Janey’s and Louisa’s monthly Photo an Hour on Instagram. The day chosen was Saturday which turned out to be pretty wet and miserable, but still a pretty good day all in all. Here’s my day by the hour. 8am. 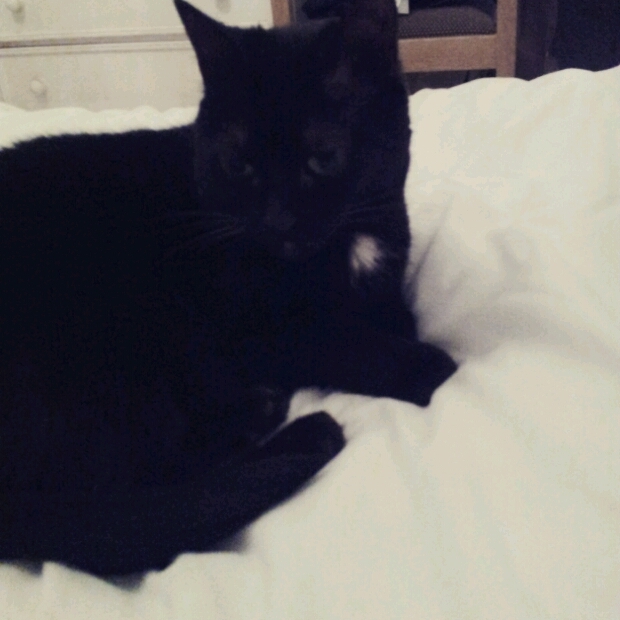 I’m up already as the pet’s decided to pounce all over us. Left Wil in bed as he had a bit of a heavy night out Friday. We are watching Breakfast Telly though Hugo is already thinking ahead to his walk..
10am. Out and about. This is one wet dog! But he was enjoying himself. Honest! 11am. I’m home and tidying the bedroom. 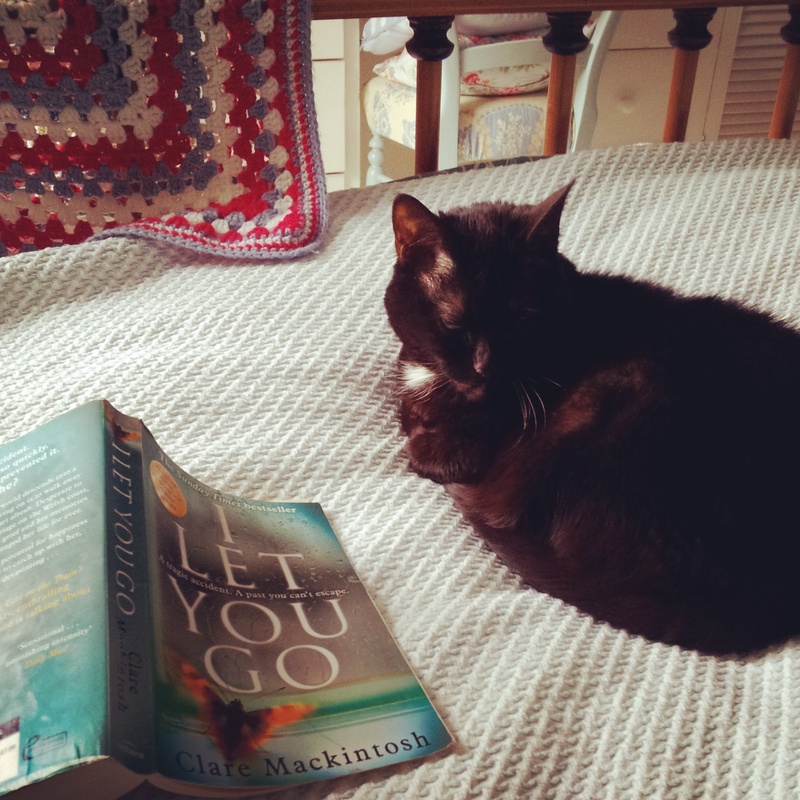 Slinky looks like she has been reading ‘I Let You Go’ by Clare Mackintosh. Well i do recommend it. It’s a real page turner thriller with a twist I did not see coming. 2pm. 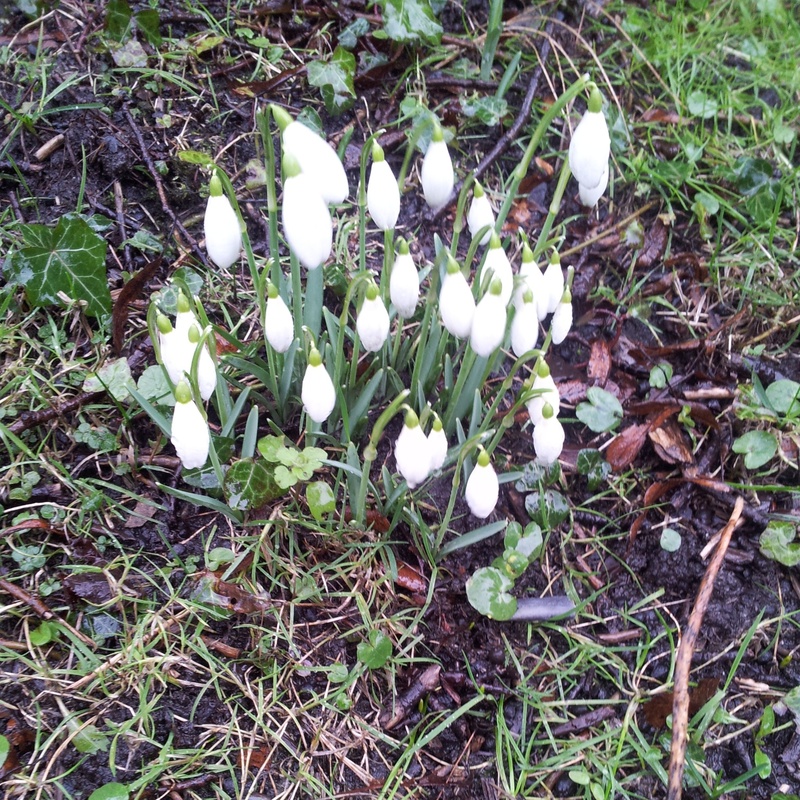 Soggy snowdrops in the Abbey grounds. Still raining! 3pm. 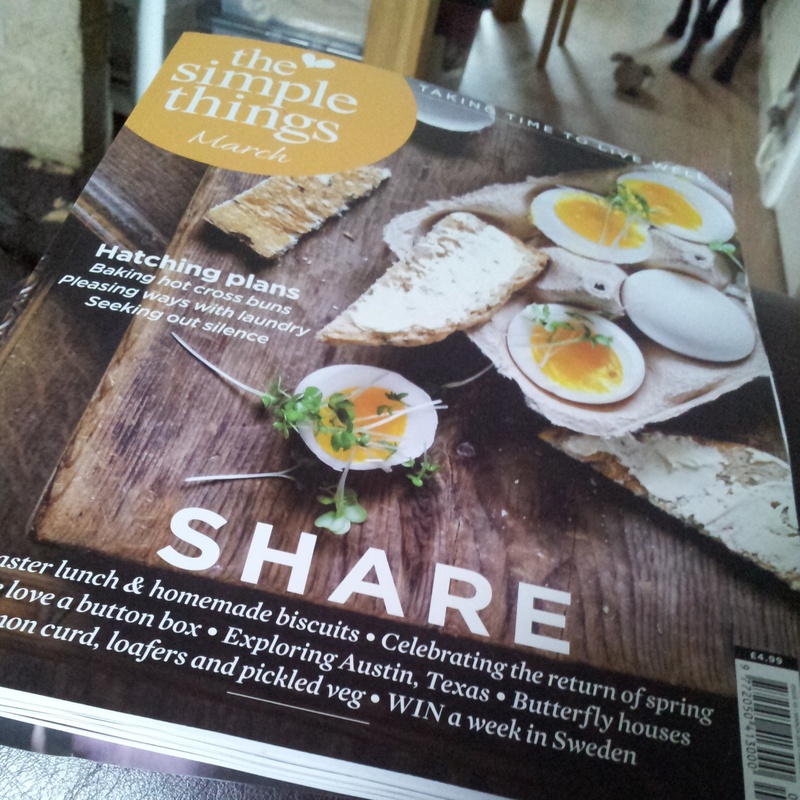 Home and a spot of reading. 5pm. Wil has treated me to tea in The Emporium. 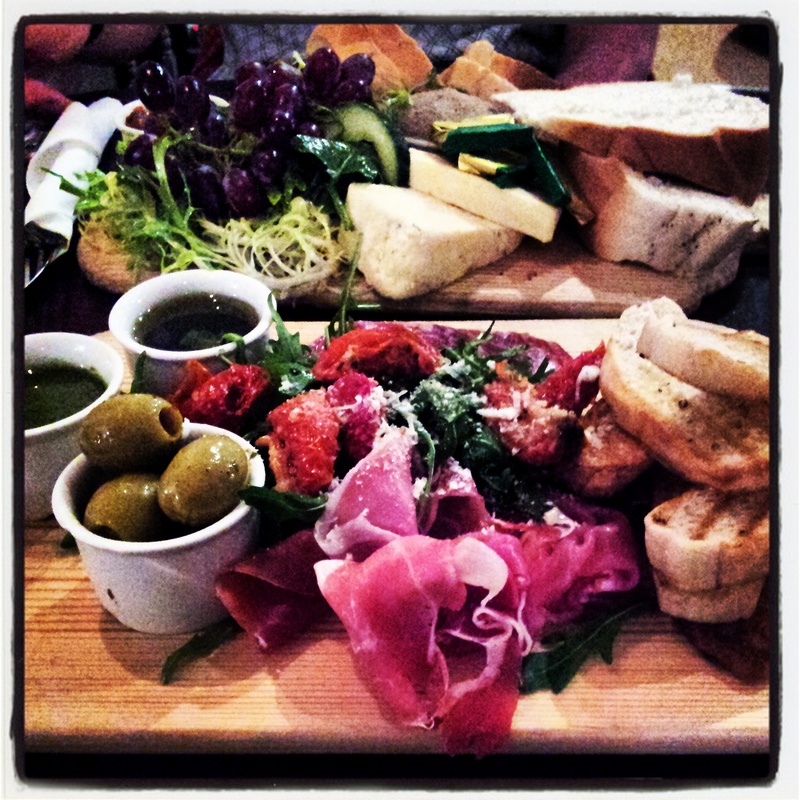 We are sharing a cheese board and an Antipasti board. Food Heaven! 7pm. We spend a couple of hours in the Emporium, where all surrounding furnishings are for sale.Even the chairs we were sat on! 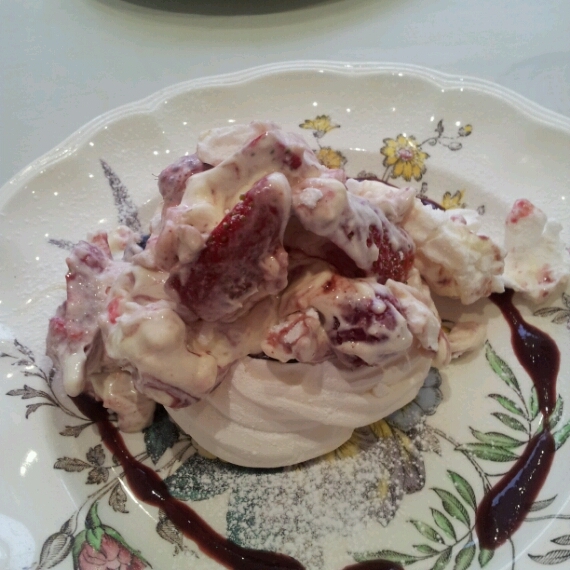 Afternoon Tea at Cafe Autisan. A couple of weeks ago it was my Birthday, so of course I had to celebrate with the obligatory Afternoon Tea! I got the girls together and headed for the nearby village of Whalley, where in the grounds of a former Cistercian Abbey, a new cafe has sprang up. Cafe Autisan is a beautiful space and perfect for parties. Indeed it is the perfect place to meet up with a group of friends. The furnishings are fun! The Cafe’s name is a clever play on words. It was set up by the National Autistic Society and plans to give work experience to adults with autism. It is run by Autisan Creative Enterprises who help to improve life skills and job prospects. 450,000 working age adults in Britain have autism but only 15% of them are currently in full time employment. Businesses like this hope to buck that trend. 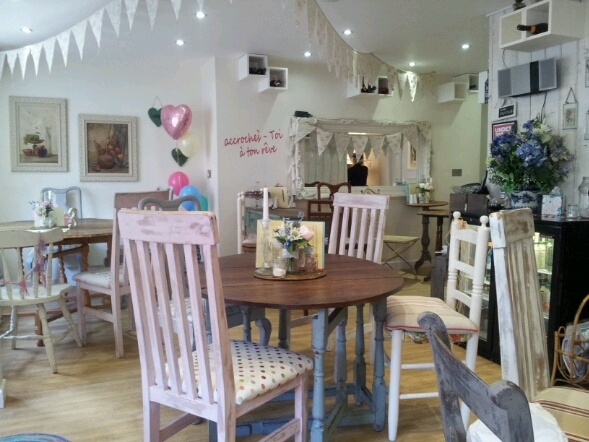 As well as a cafe here there are various artisan products for sale, such as fudge and soap, made by people with autism. This image is from Cafe Autisan’s Facebook page. I also hear Cafe Autisan does a very good cheeseboard. I shall be back! February ~ Photo an hour. 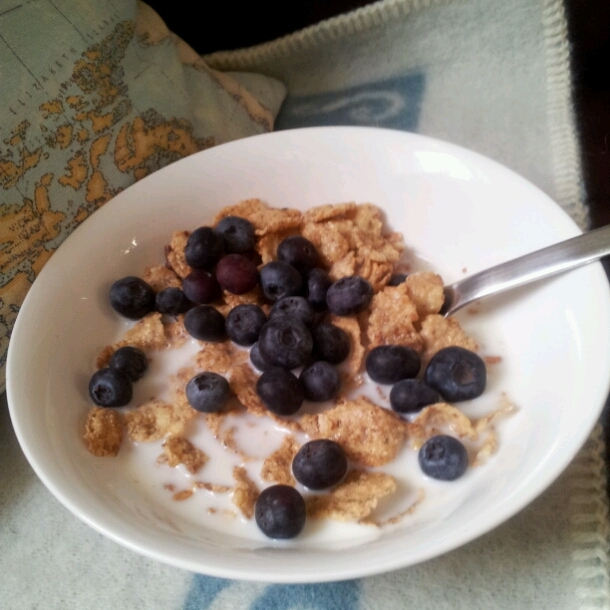 9am ~ Blueberries in my breakfast. 10am ~ Hugo is full of beans! 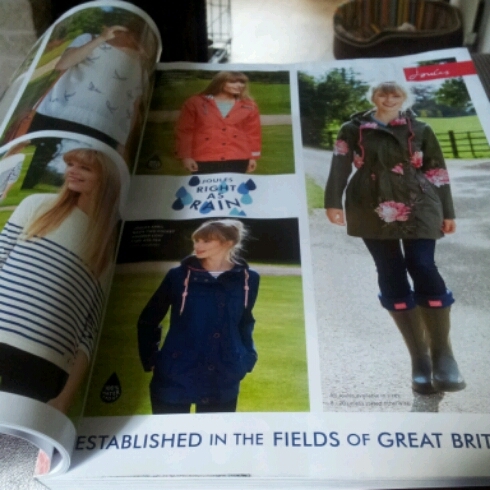 11am ~ Flicking through the NEXT catalogue. 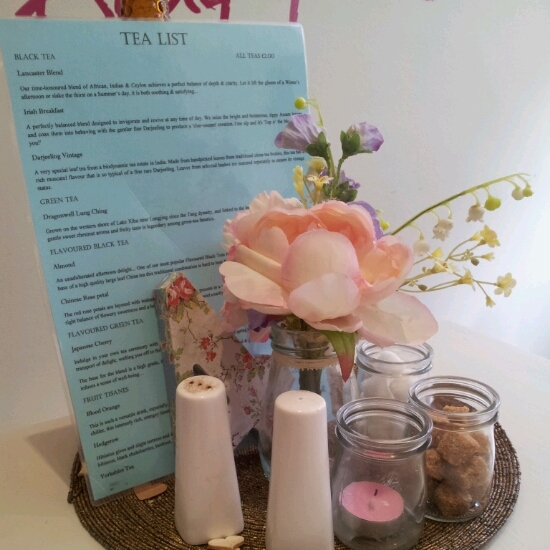 Noon ~ Lunch in a pretty tea rooms in Whalley with a friend. 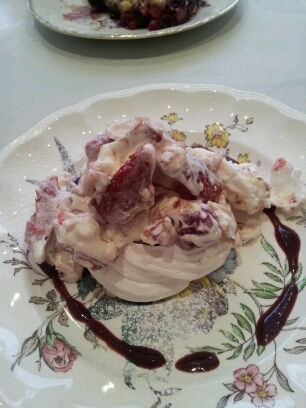 1pm ~ Pudding is yummy.Eton Mess. 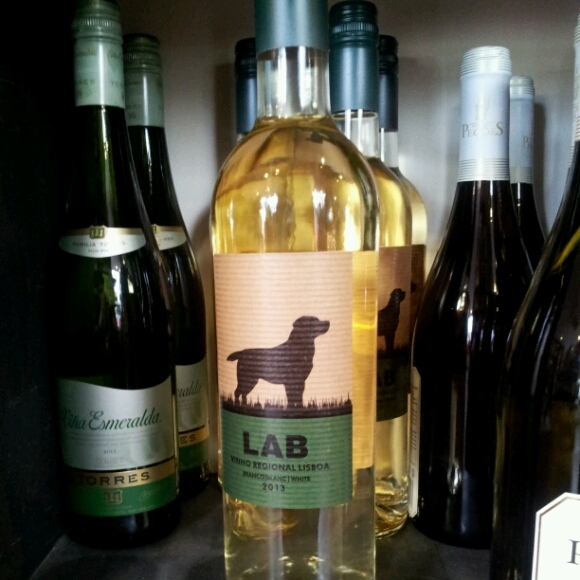 2pm ~ I bought this wine.Purely for the label of course! 3pm ~ Walking through the castle grounds. 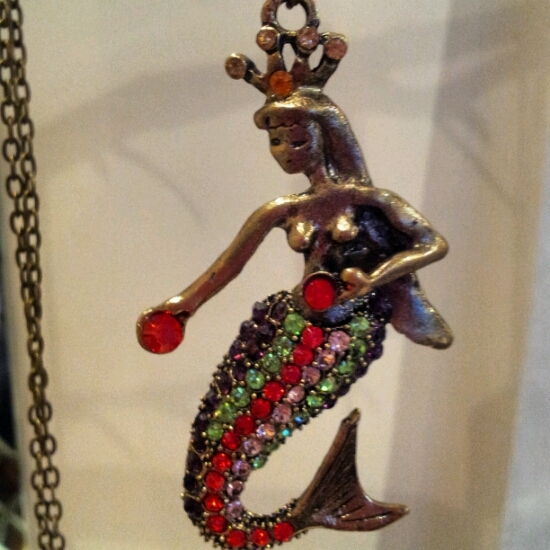 4pm ~ Admiring this Mermaid necklace in Chillimoon( my friends shop). 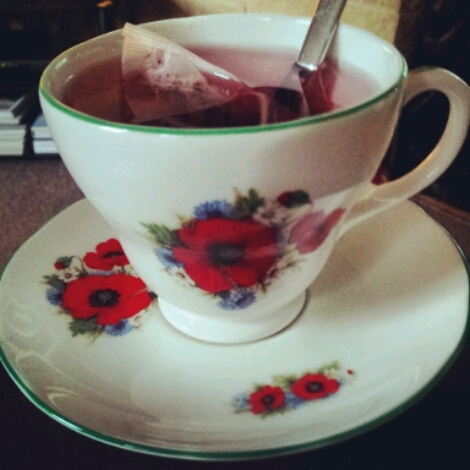 5pm ~ Enjoying a cup of raspberry tea at home. 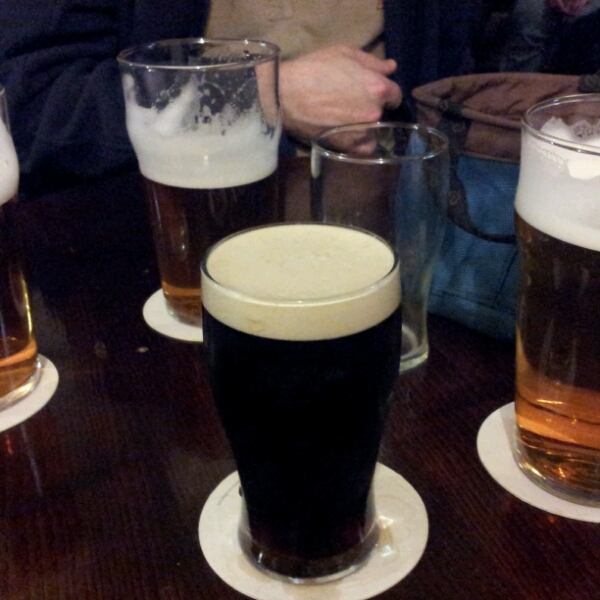 6pm ~ Swapped tea for beer.Well Guiness actually. 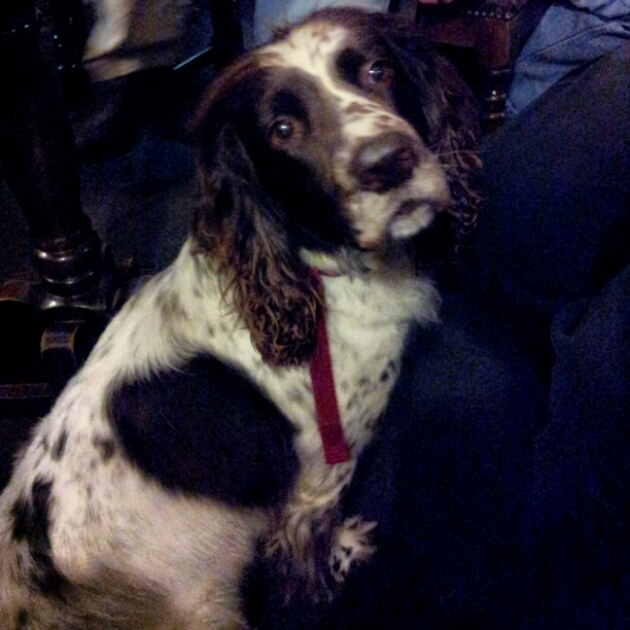 Down the local! 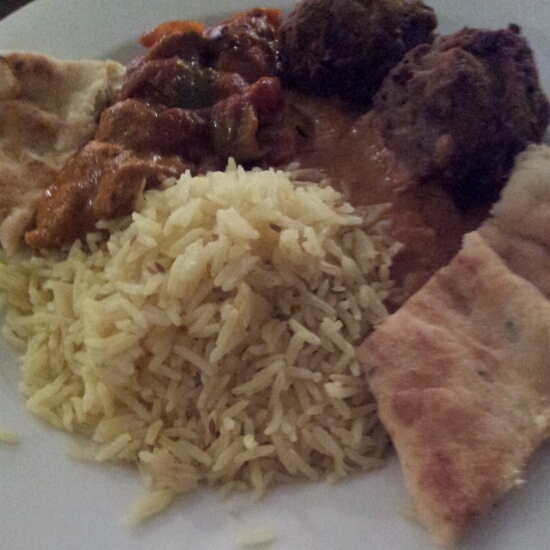 8pm ~ Back home and its Sainsburys Indian for tea. 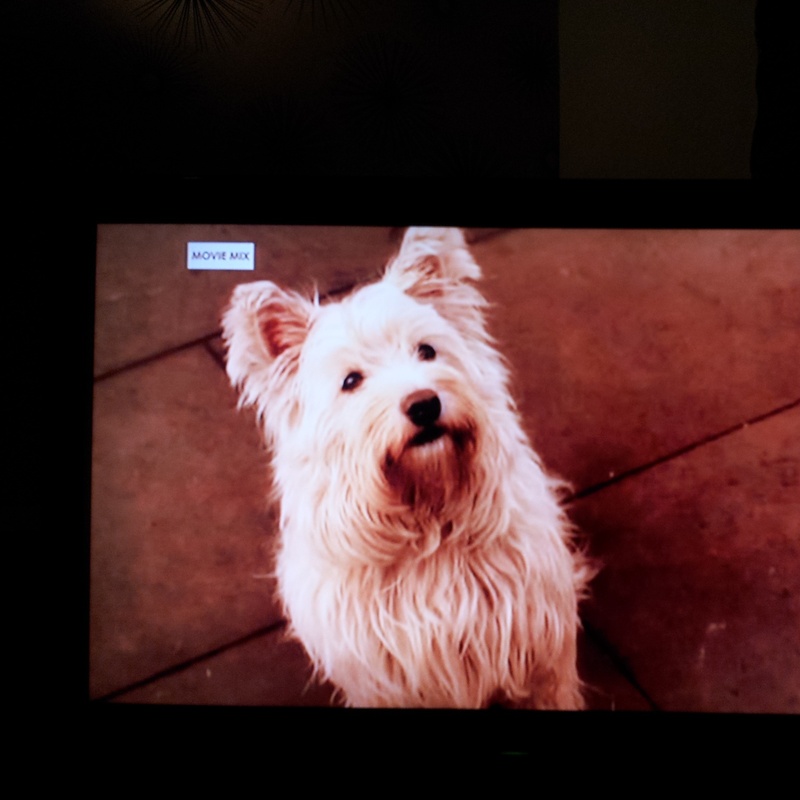 9pm ~ We are actually watching Greyfriars Bobby which I recorded on Freeview. So that was my day.How was yours? ps ~ If you would like to follow me on Instagram you can here. 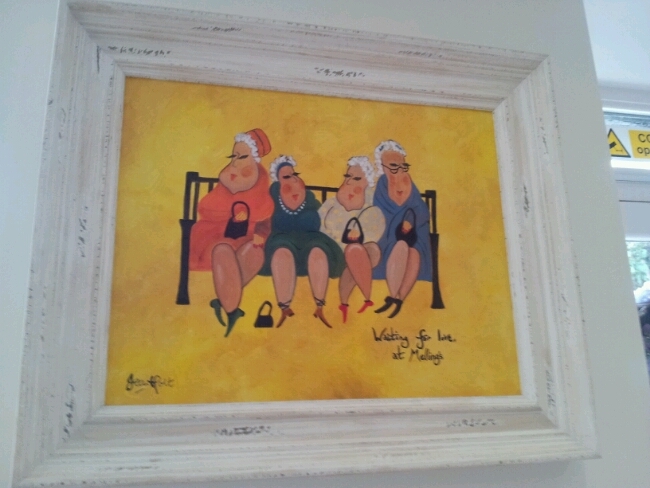 Mellings Vegetarian Restaurant ~ Whalley. My lovely friend Lisa and I decided to catch up over lunch yesterday. We headed to the nearby village of Whalley where our venue of choice was Mellings situated on King street ~ the main road through Whalley. As soon as we stepped inside we knew it was going to be our kind of place. 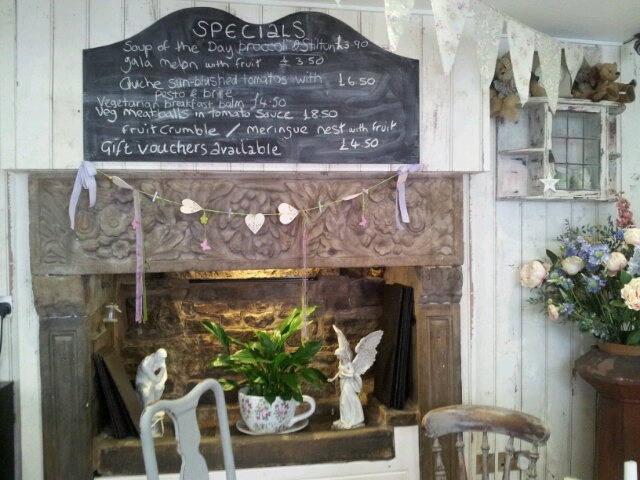 The lovely shabby chic interior dotted with vintage touches and fresh flowers welcomed us in from the cold breezy day outside. Lisa is a vegetarian so we were intrigued to test out the menu. 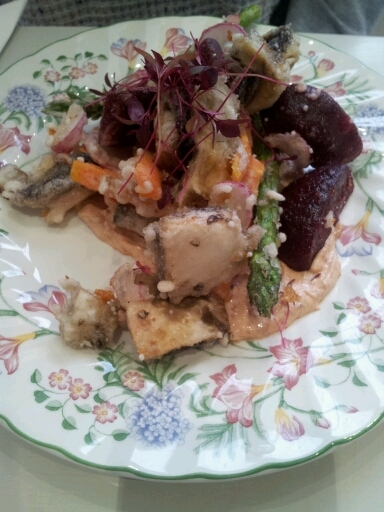 I think Mellings may be the only completely vegi place to dine in the Ribble Valley. They are also happy to cater for vegan and gluten free. 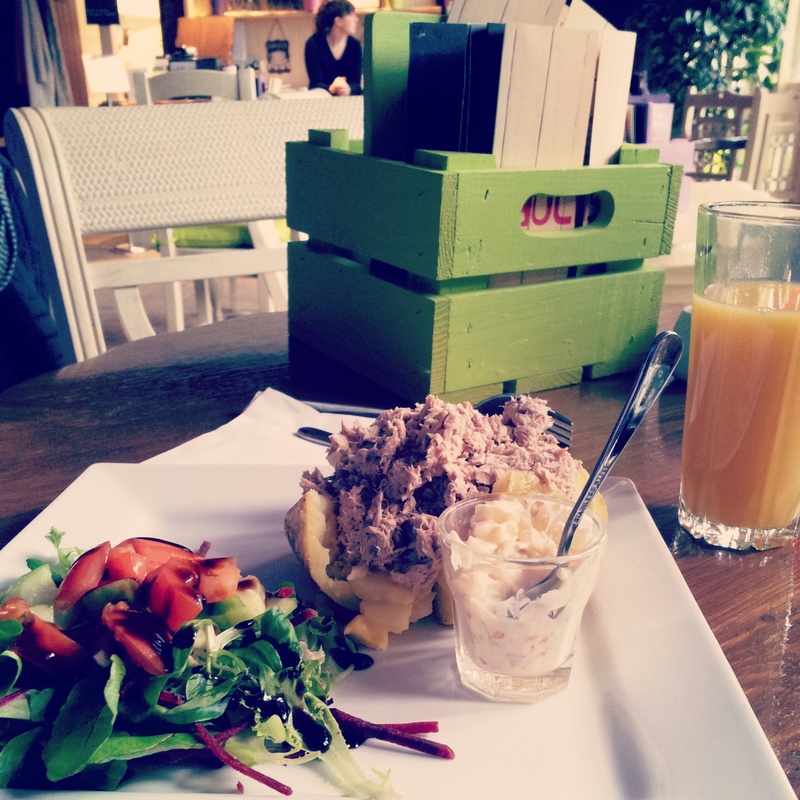 We were pleased to see a varied selection of dishes on both the menu and the Specials board. 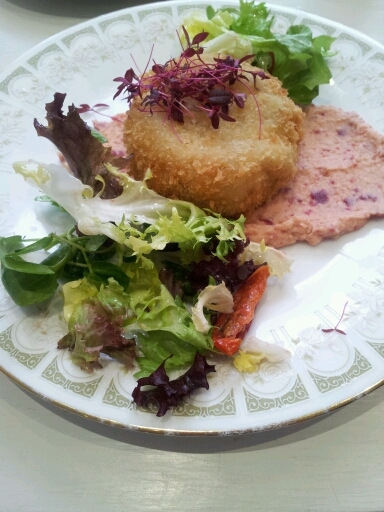 I had Chick pea cake with salad. Was delicious. Lisa enjoyed her tempura vegetables. We were so thrilled to discover this lovely restaurant right on our doorstep. It opens Thursday, Friday and Saturday evenings too so I sense an evening out in Whalley coming on soon. Oh and they serve afternoon teas as well! Vegetarian and Vintage. 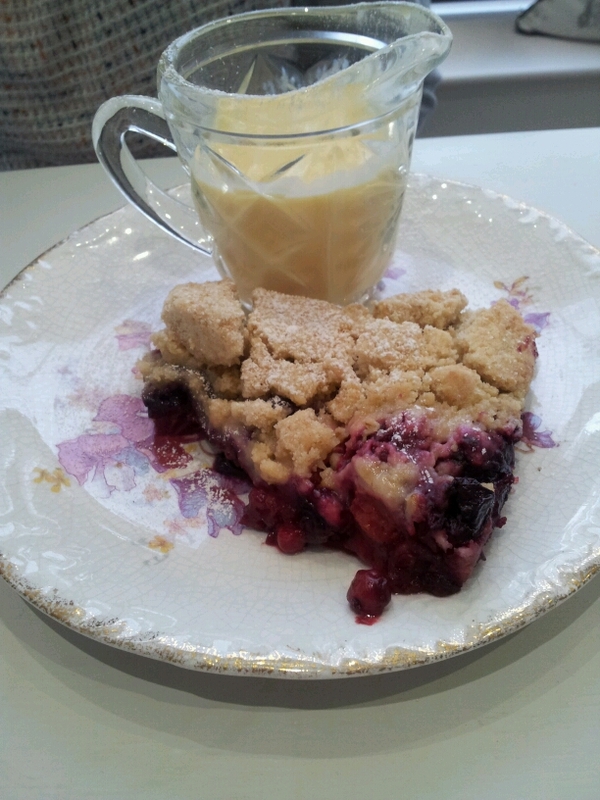 A tearoom treasure indeed!